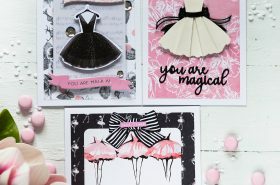 Today I want to share three cards made using Spellbinders Small Die Of The Month of September. 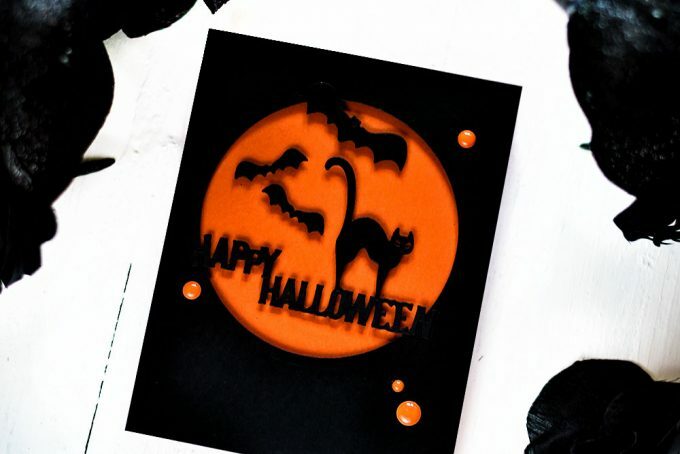 This die set is all about Halloween, very cute and well balanced and there are so many possibilities this small set creates. 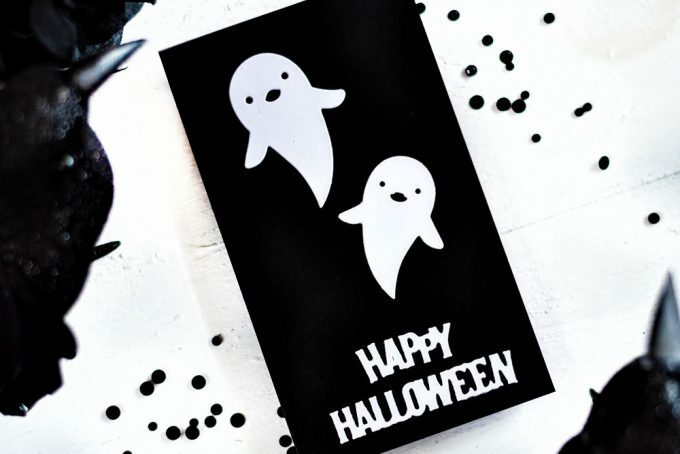 All the cards I’m sharing today are quick and simple to make and the designs can be easily approximated for another Halloween object, like a goodie bag or small home decor piece. 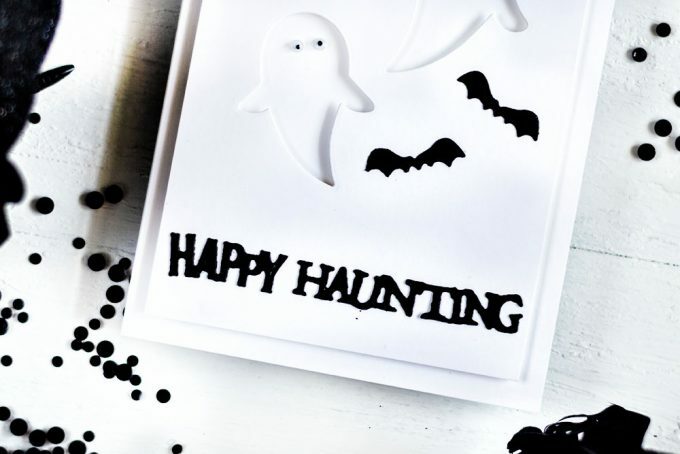 My first card is pretty traditional and quite spooky. 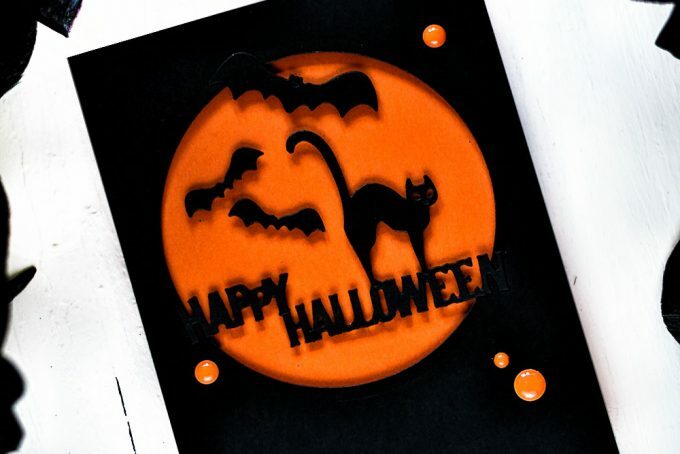 I used one of the most used Halloween color combos of orange and black. 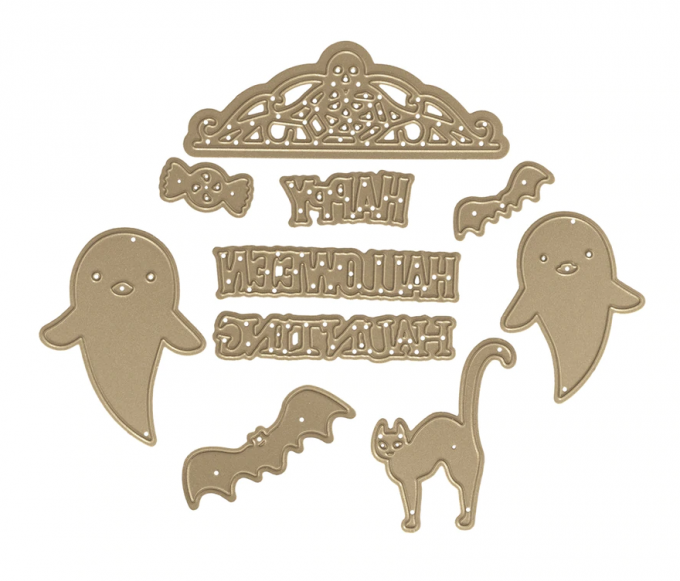 I die-cut a sentiment, cat and several bats out of a black cardstock. I also made an A2 panel out of the same cardstock and die-cut a circle out of it. Then I foam mounted the panel onto a bright orange A2 card base using black adhesive foam squares. 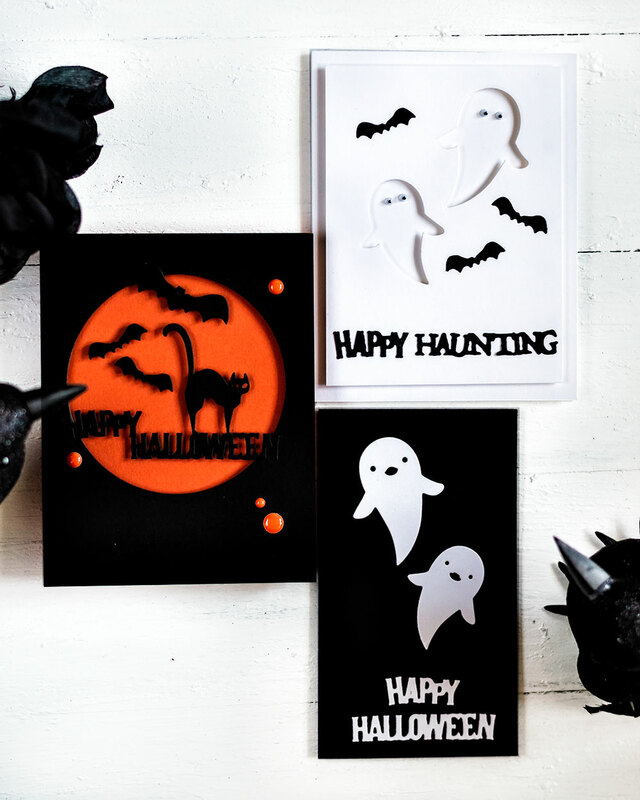 Those buddies are must in Halloween cardmaking. Then I foam mounted all elements inside of the “big orange moon”, partially adhering some to the black panel I the areas they overlap. 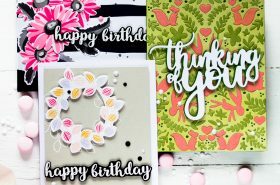 Several orange enamel dots finished off my card. The next two cards I decided to make in less colorful scheme. Or color less scheme if you will. I know some people may not like all those bright and/or gloomy Halloween color waves. Also I think black and white makes Halloween more elegant and sophisticated if you will. 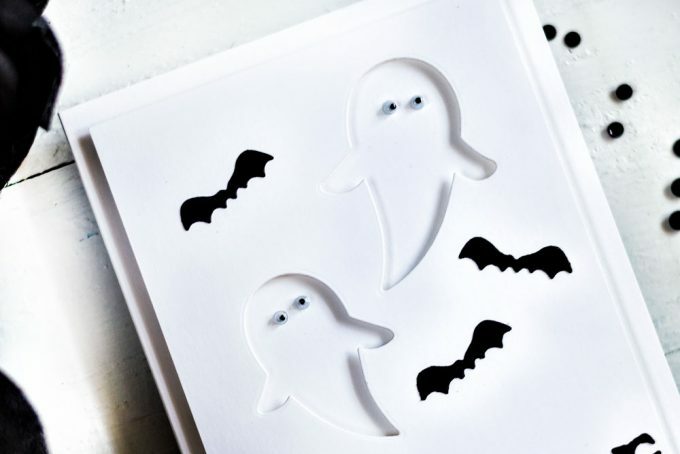 I die-cut a couple of ghosts out of a white panel and popped the panel onto a white card base. I was using the ghosts negative spaces to picture ghosts. To complete the picture I adhered tiny google eyes into those negative spaces. 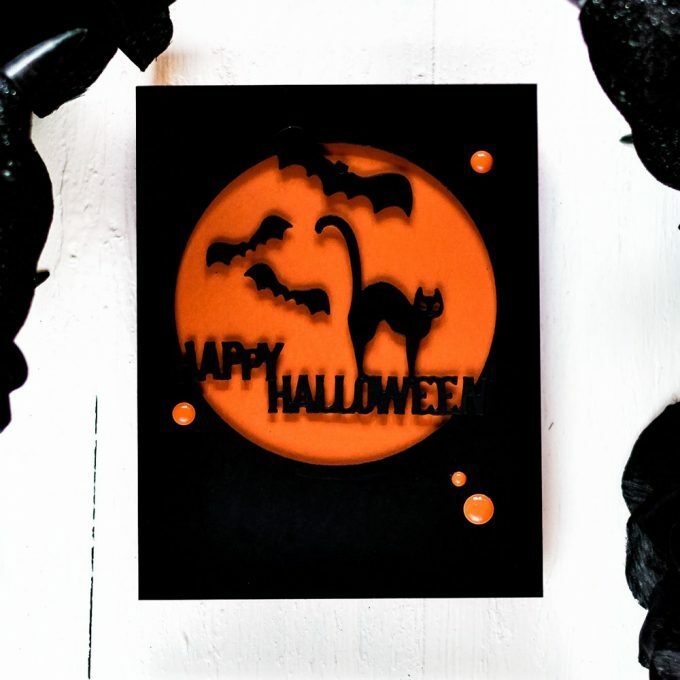 I die-cut several bats and sentiment out of a black cardstock and adhered them onto the card. Very simple and fun! The last card wasn’t planned initially. 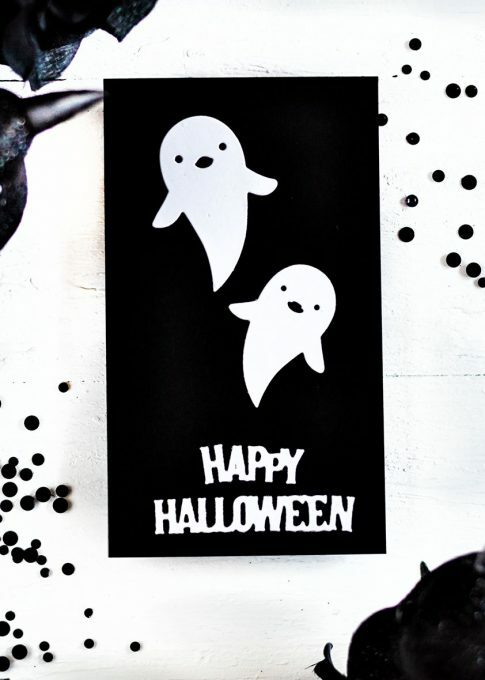 But I got two cute ghosts after making the previous card. So I decided to make one more. 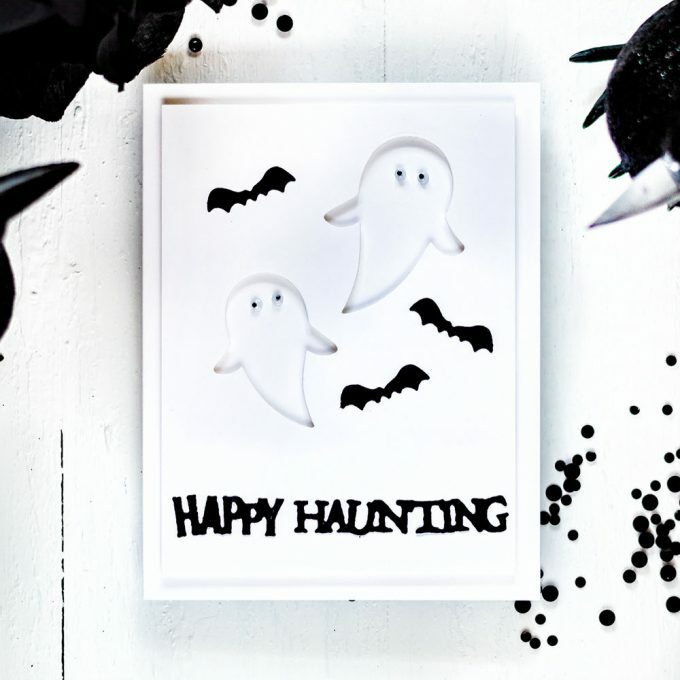 I made a panel out of a black cardstock (an inch or so narrower than A2 size) and adhered the ghosts onto it. I really really like this month Small Die. 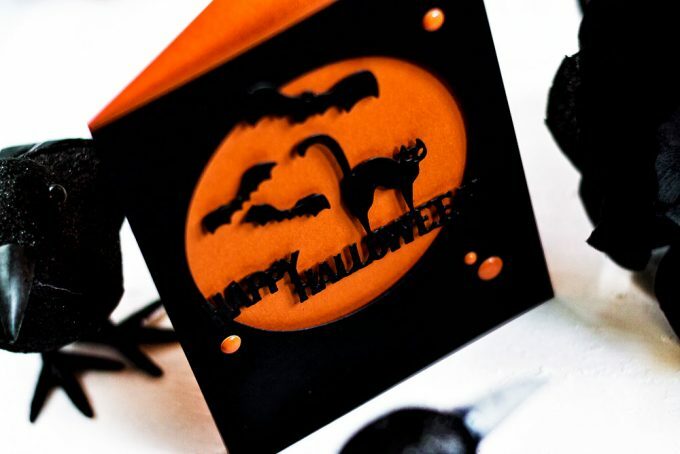 It’s so well designed that applying little effort you still can get great and spooky projects.